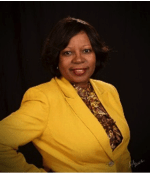 CARBRA Construction and Design, Inc. is a Certified Woman and Minority–Owned Business Enterprise founded in December of 2009 by Betty Spells Price. CARBRA is capturing clients with a one-stop shop in the construction industry. We are a General Contracting firm delivering innovative commercial building methods. We are multi-disciplined with full service capabilities, providing a range of services to counties, municipalities, educational facilities, churches, and other private entities throughout South Carolina. We take pride in generating client satisfaction while developing a dynamic construction team. To be the one stop construction company to simplify the customer’s construction needs by providing simple solutions to create amazing results within budget and in a timely manner. To foster and lead CARBRA Construction and Design Inc as one of the greatest construction companies in the industry, not just by exceeding in customer satisfaction, but to creating a team of extraordinary workers and partners. Betty Spells Price is the President and CEO of CARBRA Construction and Design, Inc. founded in December 2009. She is responsible for setting and implementing the strategic direction of the entire organization as CARBRA’S leader, Betty’s goal is to have the company recognized by clients as delivering the highest standards of service in the industry, developing its employees to provide excellent customer service while making CARBRA a great place to work. Prior to her starting her own business, Betty served as Construction Manager for Construction Dynamics, Inc. (CDI). Betty developed projects and negotiated contracts, approved all conceptual estimates and pricing and structured project staffing teams. Betty received her confirmation to pursue construction while employed by the United States Postal Service where she was appointed the Facility Activation Coordinator for the Postal Service over the construction of the $51.8 Million Mail Processing and Distribution Center on Dixiana Rd, Cayce West Columbia. Betty has spent over twelve years as an entrepreneur in the construction industry. Her greatest experiences have been in the field working with a team of men and women to deliver projects to CARBRA’s clients. Betty has a great deal of pride in the role the company plays in building facilities that help our clients achieve their business objectives. Her exceptional skill and strong desire for quality work is an asset to any project. She is an asset to any project she is involved with. Her relentless effort for quality and her desire for innovation will produce a successful project. Some of her clients include Richland School District One, Richland County, The City Bar and Fondue Restaurant and the University of South Carolina. Betty graduated from Southern Wesleyan University with a Bachelors of Arts in Business Administration. She is a lifelong learner and continues enhancing herself through continuous educational courses. CARBRA Construction and Design Inc is blossoming to become a shining start in the economic development throughout the communities of South Carolina.